Boat built in the early 2000s in Stuart, Florida by my grandpa. He built 12 of these boats in his lifetime and this is the last and best he ever built. Each individual boat took 3 months for him to build. Not only has it never been rowed, it's also been covered in his garage the past 10+ years. It's like a brand new boat. After he passed in the fall of 2014, my grandpa left me this boat at his house in Northern Michigan. 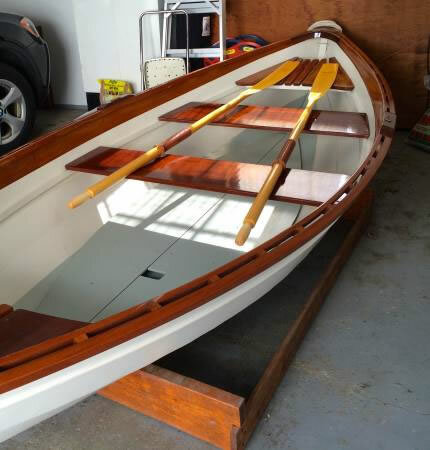 I recently brought the boat down to Lakewood, Ohio and I plan to sell it, as I am moving from my house into a smaller apartment. I want to see this boat go to a good home where it'll be used and rowed. It's been out of the water for far too long and it's time to get some good use out of it. I don't feel right about it staying locked up in a garage or a shed. 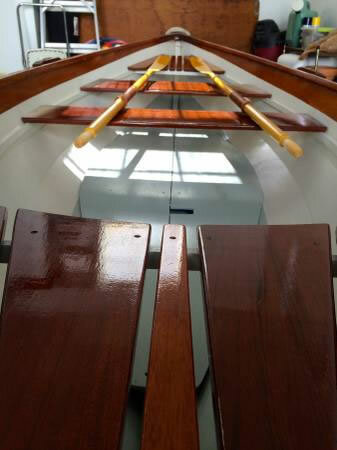 Details - the boat comes with 2 oars. It is green on the bottom and white around the sides on the exterior of the boat. The interior is white and gray on the bottom. 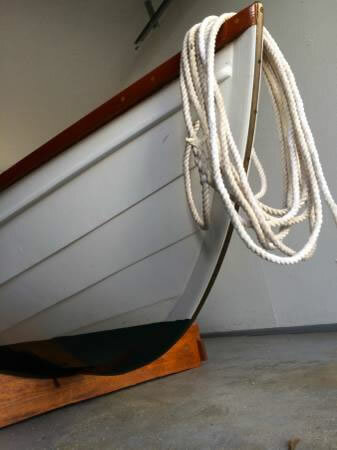 There is a darker stain on the gunwales of the boat and the seats. It's about 12.5' in length and 4.5' in width. You could seat 2-3 people comfortably. I've cleaned it inside and out. I do not have a trailer so I can't help you transport, but I'd be happy to help you lift it and strap it down.